It is official - the Nexus 5, 6, 7, 9 and Player will get the update to Android version 6 starting next week, so third-party manufacturers should follow soon as well. As it usually happens with Android updates, the first devices that will receive Android 6.0 Marshmallow are Google's Nexus devices. The latest two Nexus handsets that have been unveiled yesterday, namely Nexus 5X and Nexus 6P, will ship loaded with Android 6.0 Marshmallow as previously rumored. 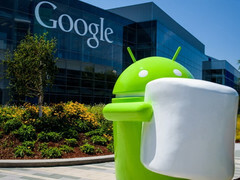 According to a blog post by Android VP of Engineering Dave Burk, "Starting next week, Android 6.0 Marshmallow will begin rolling out to supported Nexus devices around the world, including Nexus 5, Nexus 6, Nexus 7 (2013), Nexus 9, Nexus Player, and Android One." Public availability will begin next week as well, as soon as the Android 6.0 source reaches the Android Open Source Project (AOSP). Since Google does not say anything about third-party handsets, we just need to wait for the big names in the industry to come out with their updates. As it usually happens with Android updates for Samsung or LG devices, updating their custom interfaces and pre-loaded apps may take a while.